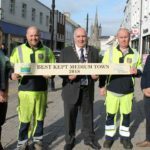 Enniskillen has been named the Best Kept Medium Town in Northern Ireland at this year’s George Best Belfast City Airport Best Kept Awards. Now in its 61st year, the prestigious competition, organised by the Northern Ireland Amenity Council, recognises the tidiness and presentation of the town. Speaking about the award, the Chairman of Fermanagh and Omagh District Council, Councillor Howard Thornton, commended all those involved in keeping the towns and villages of the district clean and tidy. “I am delighted that Enniskillen has been successful in winning the ‘Best Kept Medium Town’ accolade in the Northern Ireland Amenity Council George Best Belfast City Airport Best Kept awards for 2018. 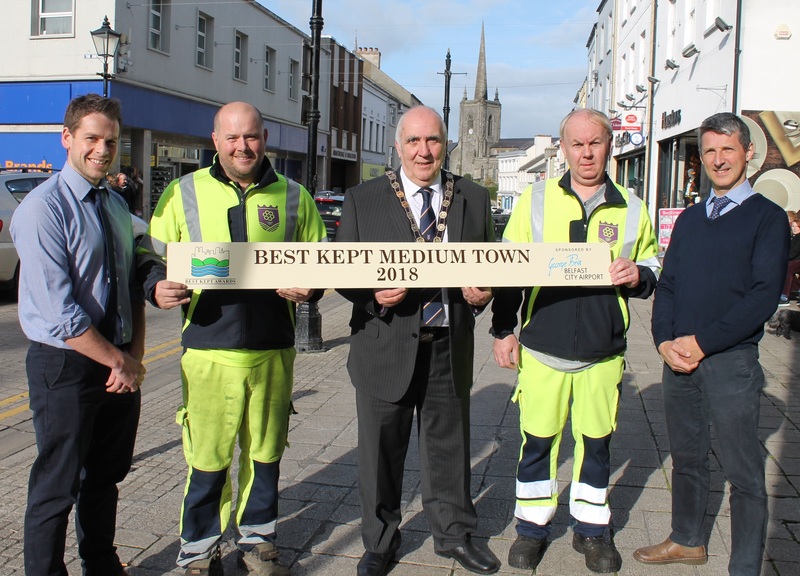 This is the second time Enniskillen has scooped the Best Kept Medium Town award in the last three years, having previously been successful in 2016.